Foundation – We use pressure treated 2 x 4 plates under all of our floors. These pressure treated plates set on concrete block (included in the price of the building) or a concrete slab provided by the customer, giving a firm and long lasting base for any shed. Floors – All Idaho Wood Shed wood floors are either 2 x 4 studs at 16″ on center or 2 x 6 at 16″ on center. We can also go 12″ on center for an extra heavy duty floor. Floor Deck – All of our wood floors are covered with 3/4″ plywood flooring. Walls – Our walls consist of a full 2 x 4 stud with a quality pre-primed Hard Board siding in either an 8″ vertical groove or a horizontal lap siding. Larger buildings are framed 16″ on center with full top and bottom plates. Trim – All Hand-Selected 1 x 4 wood trim for easy maintenance and longevity. Roofing – We use 7/16 OSB(Oriented Strand Board) on all of our roofs, which is also used on most houses. We cover the roof with a 25 Year Owens Corning Supreme shingle, guaranteed not to leak. Metal and Custom shingles also available. 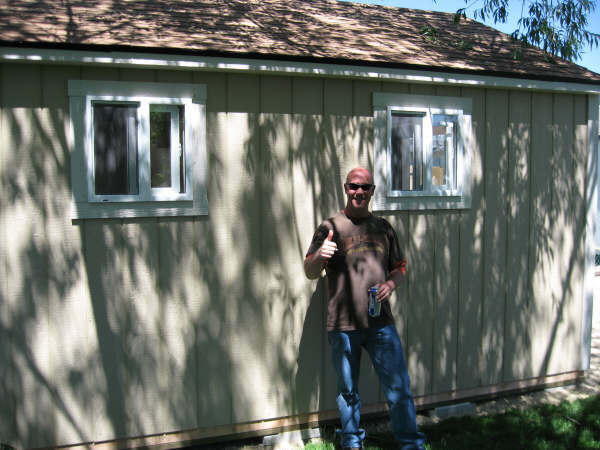 That is why our customers know that they made Smart Choice by letting our craftsmen to build thier shed. Have you made your Smart Choice today? 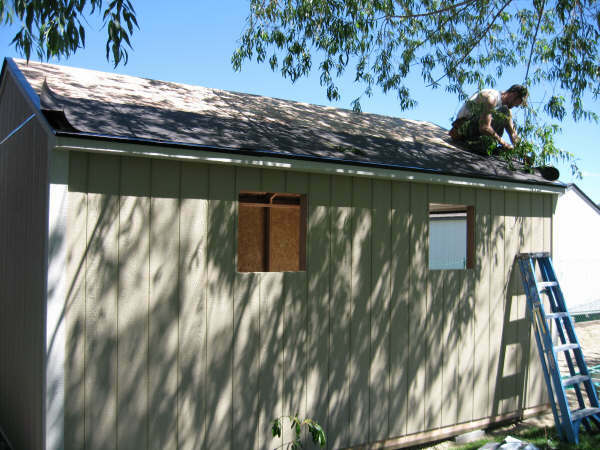 « Options and Accessories for your storage shed.